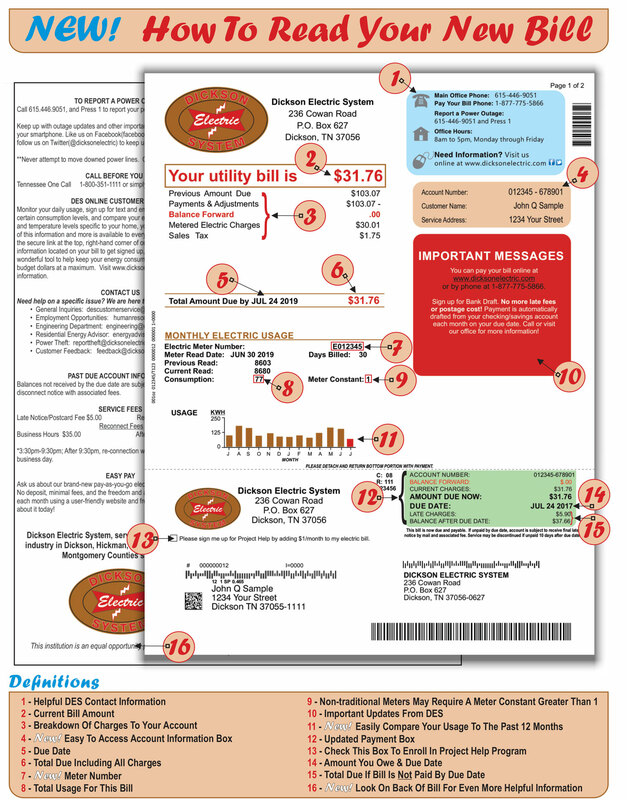 This page is intended to show you all the new features of your new bill! Take a look at the sample bill below and then let us know if you have any questions! Here is a link to a high-resolution PDF for easier viewing or printing.